Tend to those pipes: Leave the cabinet doors open in the kitchen and bathroom so your pipes aren’t shut off from the warm air. You can also insulate your pipes with sleeves, heat tape or heat cable. Insulation is especially important in unheated areas, such as your attic, basement, garage or crawl space, and for pipes running along exterior walls. 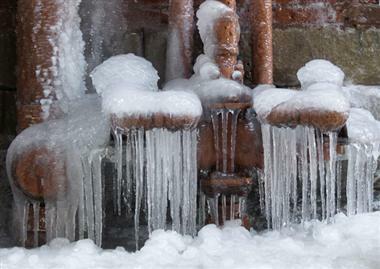 Finally, be sure to touch base with us at Absolute Insurance to check whether you’re covered for the damage a frozen pipe may cause. We’re happy to answer all of your policy questions this winter, and beyond.